Approximately 37 million Americans suffer from arthritis, which means “inflammation of the joint.” It can be caused by more than 100 different diseases, and, in most cases, has no cure. Even though doctors routinely prescribe antibiotics, anti-inflammatories, and other types of drugs, the best treatment may come from you. By adjusting your life­style and taking responsibility for managing your pain, you can lead a normal, produc­tive life. The first step in treating your arthritis is to make sure your problem is diagnosed cor­rectly. Since many conditions have joint pain as a symptom, it is important to first rule out any serious illness, such as Lyme disease, scleroderma, lupus, and others. 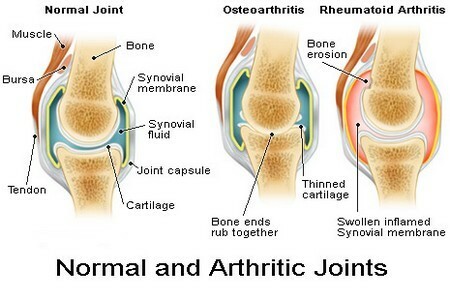 Once you know you are dealing with arthritis, you can begin treatment. Become arthritis smart. Studies show that arthri­tis sufferers who learn about the disease have a better outlook on their future, and are better able to adjust their lifestyles and manage the pain. So go to the library and read as many books and journals as you can find. Join the Arthritis Foundation, find a support group through your doctor or hospital, or contact your local college or university. Understanding arthritis gives you better weapons for the battle. A little rest goes a long way. Acute attacks of arthritis pain require rest. The joints need to set­tle from the swelling, and you can take the time to pamper your body with a heating pad or ice pack. But don’t get too comfortable. It’s important to get out of bed and on with your life. Perfect your posture. While standing or sitting, adjust your body so your back is straight, your neck is at a natural angle, and your feet rest com­fortably on the floor. If you put your joints in stressful positions, you’ll just strain them and aggravate your arthritis. Do some shift work. Whether typing, sewing, writ­ing a letter, or balancing the checkbook, don’t let a few moments turn into an hour. If you stay in one position too long, your joints can stiffen up and start to hurt. So get up, walk around, and stretch your muscles once in a while. Spare your joints. During your day, think about how you use your joints to perform each task. Instead of gripping or twisting with your fingers, hold things with your palms. Take advantage of modern appliances such as electric can openers and knives. Let your stronger joints and muscles carry your burdens. For instance, use a fanny pack instead of a shoulder purse; lead with your stronger leg when climbing stairs. Take a careful look around your home or workplace. If neces­sary, rearrange shelves, tools, equipment, and appliance s to reduce bending, lifting and carrying. Take two. Aspirin or ibuprofen will help relieve your pain and reduce swelling in your joints. Investigate supplements. Experts constantly test various supplements on conditions like arthritis. While not all the results are conclusive, many rec­ommendations are worth a try. For instance, osteoarthritis sufferers can take folic acid with vit­amin B12 to help give them a stronger grip. And if you have rheumatoid arthritis, you might try eat­ing more fish, like lake trout, mackerel, and her­ring. It will give your body some much-needed omega-3 fatty acids to help you fight this crippling disease.